What city is 1600 miles away from Atyrau, located in the mountains and a former capital of a CIS country? That's right folks, I am heading to Almaty next year (barring any unforeseen circumstances)! 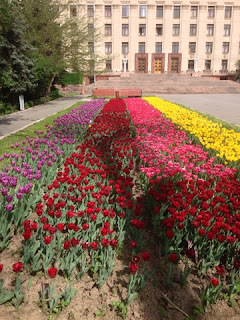 I am still working with the same school system just in a new, and more exciting location. 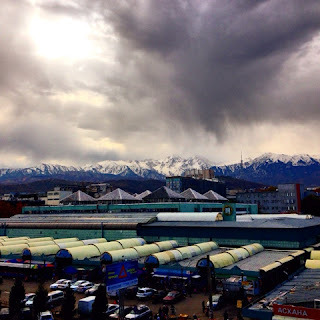 I have traveled to Almaty twice this year, and absolutely love the city. It has a really nice vibe, especially in the spring, and it is nestled at the food of the Tian-Shen Mountains. 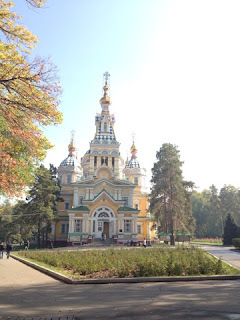 It is an eclectic mix of soviet style buildings and modern architecture. I can't wait to explore more of it and discover everything that it has to offer! I am so excited to be excited about the city I am living in. Here is to a new chapter! 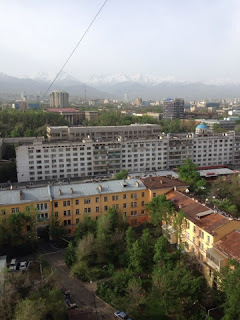 It is very close to the capital of Kyrgyzstan, Bishkek, where my friend Lynelle is living so that will be really nice to have my hiking buddy so close! Two friends from Kuwait will also be moving to Almaty, which is almost like worlds colliding but still really fun! Here is to my next adventure! Did you know? Tulips are native to Kazakhstan!